This tool can help you and your employees ensure your potential new health plan includes the doctors, medical groups, and hospitals you want after you enroll. It’s easy to use – just enter your home or work ZIP Code and the carriers you’re considering. 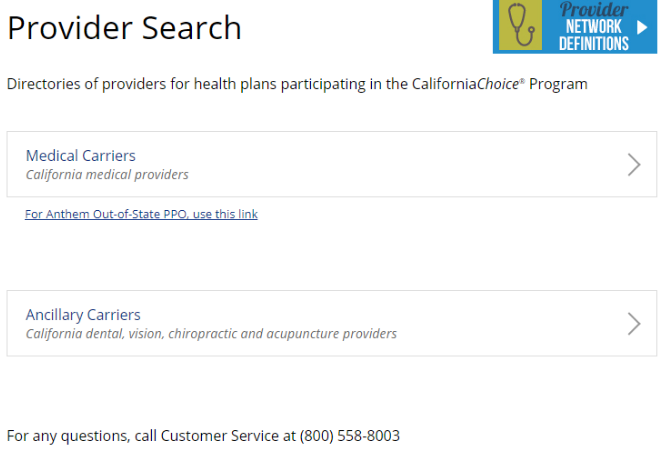 You can then narrow your search by the doctor’s first and/or last name, distance from the ZIP Code you’ve entered, medical specialty, languages spoken, ACA metal tier (Bronze, Silver, Gold, or Platinum), medical group/IPA and hospital affiliation, and the type of coverage (e.g., EPO, HMO, PPO). 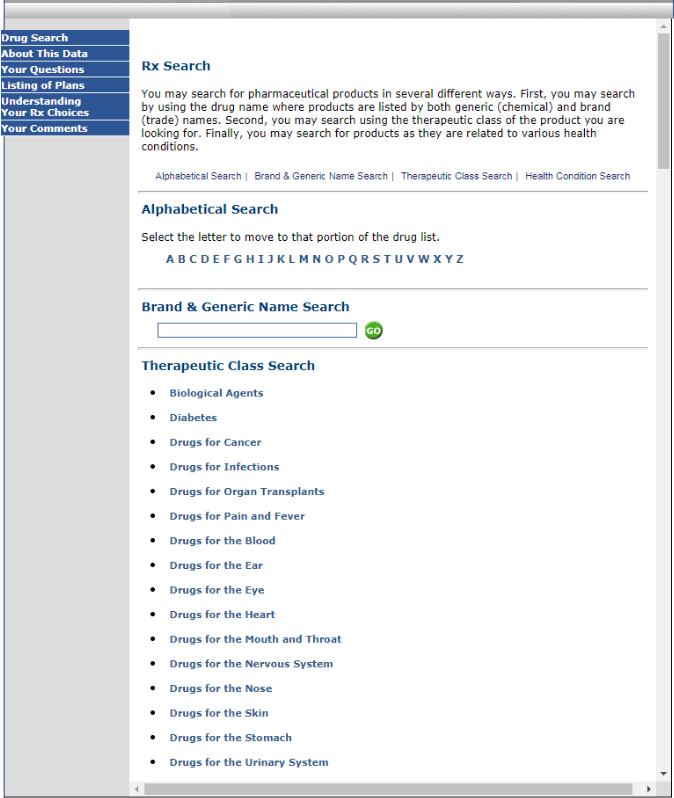 This tools lets you search for prescription drugs by name, treatment, or the medical condition with which they are most-often prescribed. You can search by brand name or generic class and by condition. You’ll get an easy-to-understand display of how the Rx is covered (or not covered) for each plan you’re considering. The ACA’s reporting requirements and employer mandate apply only to employers with 50 or more full-time equivalent employees. 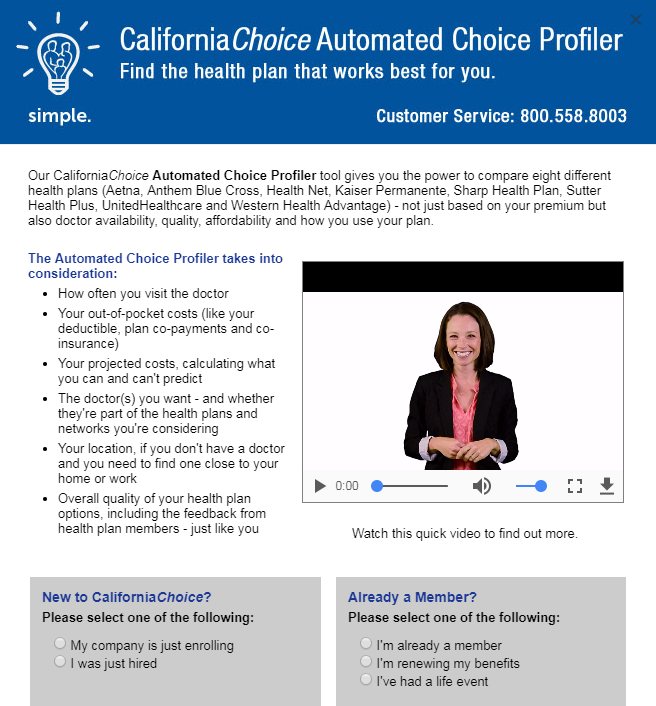 The CaliforniaChoice ACA Full-Time Equivalent Calculator helps you determine whether that includes your business. The ACA Penalties Calculator helps you determine your possible penalties if you’re required to offer ACA-compliant coverage and you don’t. The ACA Safe Harbor Calculator helps you determine your plan “affordability” under one or more “safe harbors” of the ACA. CaliforniaChoice also offers HR Calculators to help you determine how much it costs to recruit and hire a new employee – and how employee turnover and overtime affect your business.